The area of process management is important – it encompasses many aspects of your business. You must develop processes, document them as process maps, and implement them in such a way that everyone who will be using the process, or be affected by the use of the process, is aware of what it entails and what their role is in the success of its completion. A well-run business consists of eight major branches or systems that integrate seamlessly for the benefit of the whole. Within these eight primary systems, there is a maze of subsystems. To systemize your business, a diagram is developed through Process Mapping, Scorecards and Indicator Reports. Process Mapping is a systematic/systems approach in documenting the steps/activities and time required to complete a task. Process Mapping helps businesses identify what the company does, who is responsible, to what standard a job should be completed and how successful is the process. With scorecards, you can motivate your employees, increase productivity and accomplish strategic goals. Indicator Reports allow you to save time by viewing the company’s overall state of affairs at a glance. Have more questions on process mapping, scorecards, indicator reports or how they can have a positive impact on your business? 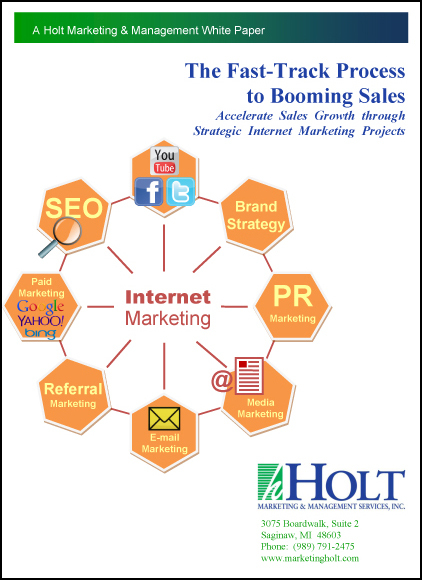 Then contact Holt Management TODAY! Document Your Processes and Reap the Benefits. Read this Blog Post to learn more about the many ways that documented processes and systems can benefit your business and your employees.